We look forward to their creative displays on the new fleet of buses! 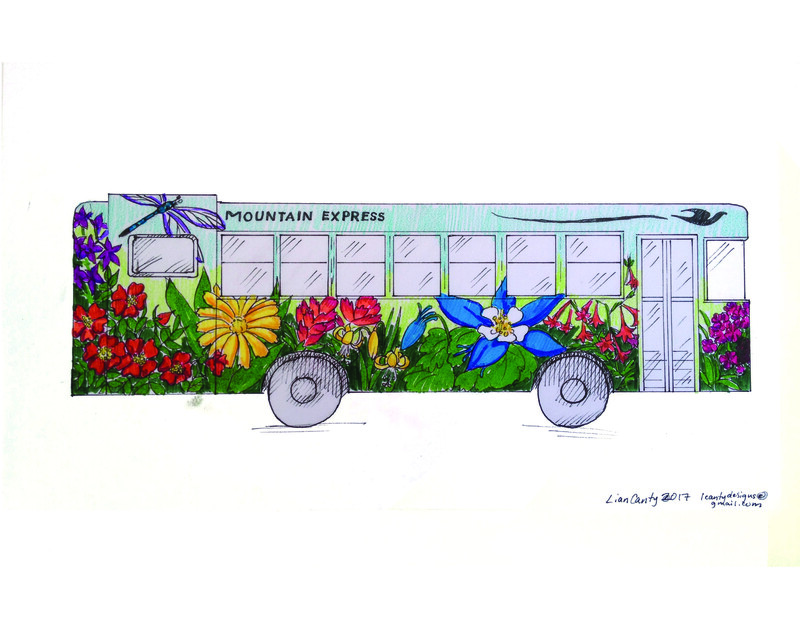 Lian Canty presents the Wildflower Blast bus to celebrate the profusion of Crested Butte’s abundant wildflowers. 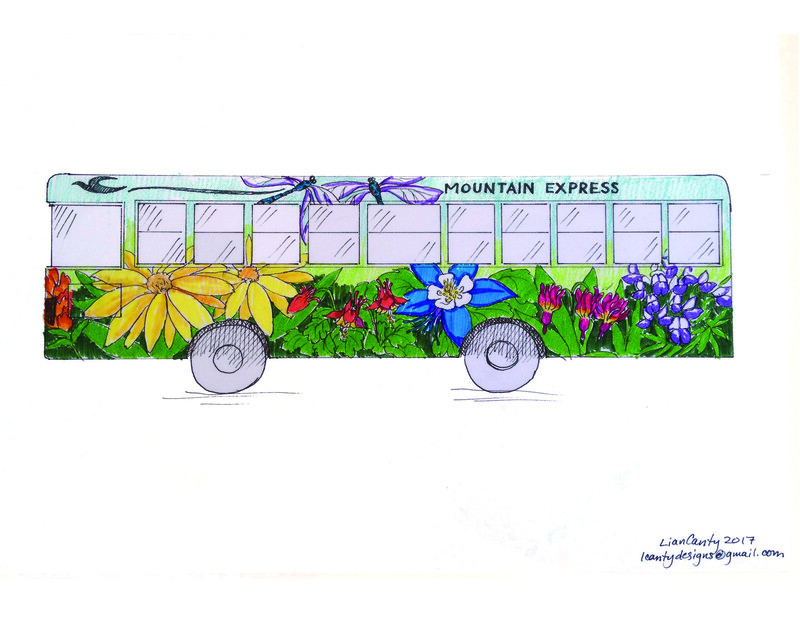 Her design features oversized, bright, slightly stylized local wildflowers, including Columbines, Indian Paintbrush, Glacier Lilies and more, with dragonflies adorning the top of the bus. 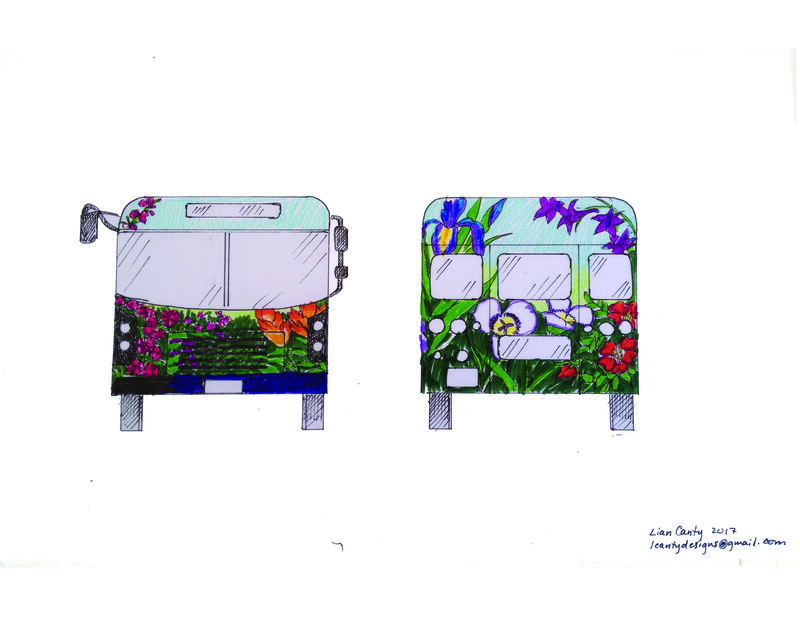 The flowers depicted would wrap around the bus, creating a continuous field of wildflowers. depicting various species of wildflowers found throughout valley. Craig Burbank presents the Powder Express bus. As artist to the Pineapple Express bus (2016), Craig’s intention was to create a ‘sister’ bus. Craig felt the Mountain Express needed to add a ski bus to their fleet. Therefore he created a bus design incorporating not only skiers, but snowmobilers, ufo references, as well as winter wildlife to a vibrant winter mountain sunset. 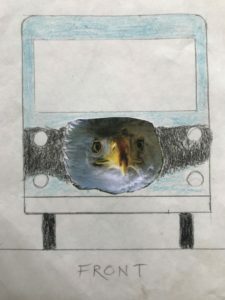 Will Tintera presents the Eagle bus. 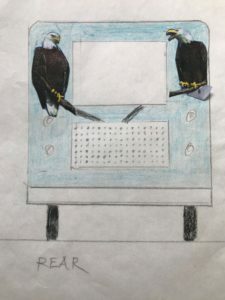 Will is an artist and eagle enthusiast. 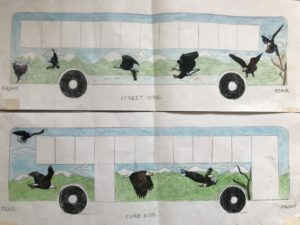 His bus design centers on Bald Eagle portraits against a mountain back drop.